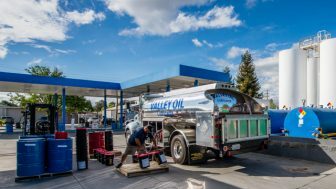 Valley Oil Company delivers a broad spectrum of lubricant products and quantities—from bulk oil to case goods—with our same day/next day service, when in stock. 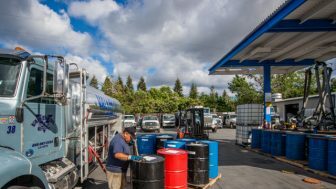 Our inventory consists of bulk storage, totes, drums, kegs, pails, and cased goods on-site at our headquarters in Mountain View, CA. Valley Oil carries a variety of high quality lubricant brands, including Chevron, Mobil, Kendall, Shell, and Phillips 66. We can also special order any of your lubricant product needs. Other products we can deliver include hydraulic fluid, universal tractor fluid, heavy-duty and lightweight engine oil, transmission oil, gear oil, aircraft engine oil, greases, solvents, and more. Contact us to set up an account and start using Valley Oil Company for all your lubricant needs.